Hear ye! Hear ye! Behold — a re-imagining of the Hunter-Garcia songbook. New life. New arrangements. New band. New set. New stage. New story. 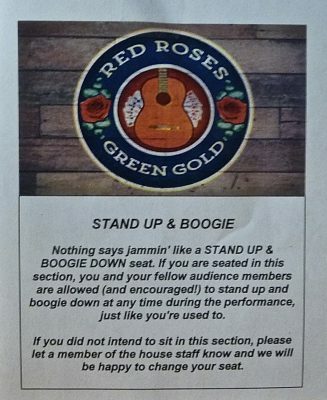 If you’d like a fresh way to approach Grateful Dead music — go to this show. If you like the Dead and theater — go to this show. If you like the Dead and musicals — go to this show. If you’re not sure — go to this show. By my count there were at least 17 classic Dead songs used to tell the tale of a kooky crazy saloon set sometime in the nebulous Old West. There’s a narrator — Jack Jones, the Doodah Man — who’s kinda like the Stage Manager in Our Town helping guide the audience through the Twelfth Night-like comedy of interconnected couples and conflicted love and bad intentions and double crossings — but really it’s all just a vehicle to reinvent Robert Hunter’s rich storytelling lyrics in a playful, funny, high-energy dramatization. 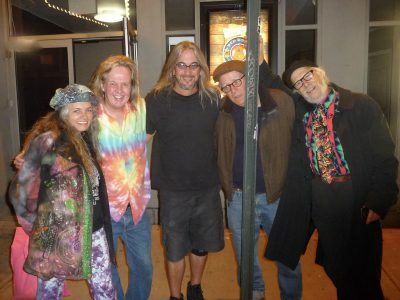 Original Merry Prankster George Walker and myself (and others) caught the third-ever staging of this (outside of rehearsals) and were lucky enough to talk to pretty much everyone involved from techies to the producer, from Jeff Chimenti the musical director to the on-stage stars, and there’s very much a feeling of the Grateful Dead themselves in their earliest days. The clay is still wet, the canvas not fully painted, and the arrangements still in organic growing glowing flux. This is eight relatively unknown musician/actors who are sculpting something new out of something established and familiar. All of them are good, but Scott Wakefield is the father-figure both in the show, and probably off, and has a mid-career Rip Torn vibe with under-the-surface dangerous energy goin’ on. Debbie Christine Tjong as Bertha is a firecracker with a little of Shaky Willie’s Shrew and Kathy Griffin’s petite explosions. The mother–daughter characters played by Natalie Storrs and Maggie Hollinbeck do a touching show-stopping duet on Brokedown Palace. And Brian Russell Carey as the clueless comedic foil Dudley has the audience laughing out loud just about every time he opens his mouth. But the breakout to these eyes was Michael Viruet in the central character of Mick Jones — not unlike Berger in Hair, the bad guy / good guy, the Neal Cassady of this sidways adventure. The choreography is positively playfully Twyla Tharp. And the set and prop design is someplace between M.C. Escher and Dr. Seuss, with a cameo by Bart Simpson on skateboard. And the seconding of musicians is second to none. I don’t think one of them played less than five instruments all night. Besides the eight voices, a partial list I noticed included — a violin, acoustic guitar, banjo, mandolin, accordion, ukulele, upright bass, drums, upright saloon piano, electric guitar, electric bass, conga, cajon box, tambourine, chimes, cowbell, shakers, and a cello! Besides all the full songs, there were a bunch of Deadly instrumental mood-setters sprinkled throughout, and no two were ever played by the same lineup. And if that ain’t turn-on-a-dime unexpected Grateful Dead, I don’t know what is. 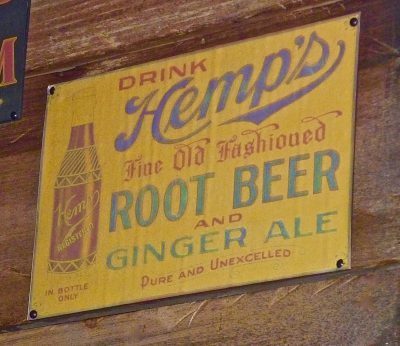 The old-timey instrumentation reminded me of Phil Lesh’s recent collaboration with the String Cheese Incident — the original jugband / bluegrass music that Garcia & Hunter were born out of. Authentic. Timeless. Americana. 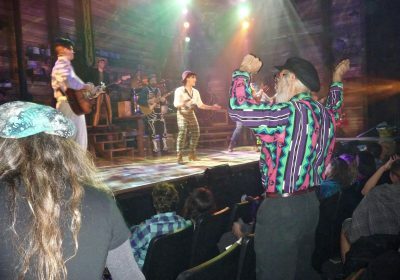 The costumes (especially the skeleton suit and Garcia’s American flag top hat detail) and broad staging is top-notch New York theater, but performed in a little one-block alleyway playhouse down in the Village, infused with that neighborhood’s spirit and grassroots organic non-uptown mindset. When I lived around the corner in the ’80s, I second-acted Balm In Gilead there about 15 times just to experience Laurie Metcalf’s 14 minute monologue. It’s as cool an Off-Broadway experience as you’re gonna have, on an ancient New York lane and street (both called Minetta) you might not even know exists, which also includes Serpico’s apartment from the movie. Gratefully, this is not Cats or The Lion King — but more a Prankster Production — except with money and rehearsals and pros behind it. What it is, is Fun. Occasionally there’s a smidge too much exposition of a too convoluted plot that’s ultimately unimportant — cuz it’s the exuberant freshly-delivered songs and their productions and the joyous Spirit of the whole thing that you’re gonna take away from it. Do it with friends. Make a night of it in the Village. And get the special dancing seats if you’re so inclined, wink wink. Other than extreme purists who can’t listen to this music without Jerry, I can’t imagine a Deadhead walking out of this theater without a beaming Cheshire grin on their face. Cuz that’s all I saw all night. we finished our Jack & Neal show at The Bitter End. 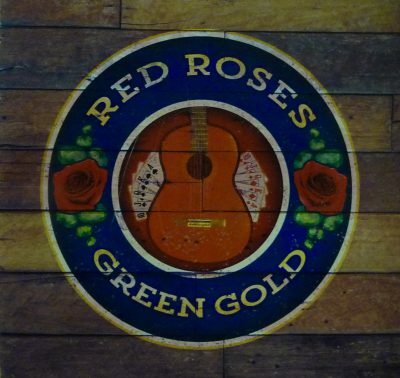 “Red Roses, Green Gold” — at The Minetta Lane Theatre, 18 Minetta Lane, New York City. Previews — Oct. 11th – 28th. Official Opening — Oct. 29th and running through Dec. 17th at this point, but it will probably get extended once the word gets out. Here’s some info on the George & Brian “Jack & Neal Ride Again“ tour and shows. Or here’s a bunch of other Grateful Dead related stories. Saw it last weekend, and you nailed it describing it, down to big grin on the way out! They were equally lucky to have you guys there as the other way around! I didn’t know there was any territory to occupy between M.C. Escher and Dr. Seuss! How did you make this lucky find? I just saw some mention of it someplace … and noticed the previews were starting when we were in New York, and got tix the day they went on sale. We all really loved it . . . it’ll be interesting to see what the theater “critics” say about it once it officially opens. Excellent write-up… thanks for answering my curiosity regarding this theater event. Sounds like this is going to warrant a day trip. Thanks for the great review Brian…it sounds like a great show. 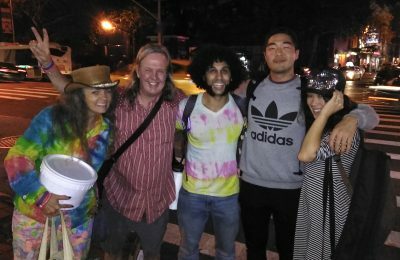 Great show good story line talented musicians great fun. Thanks for the review Brian. Going to see this show next Friday after Springsteen on Thurs. I’m going to see it tomorrow. Great review Brian! I may be able to see it on Wednesday… would love to catch it before Keystone. Looking forward to meeting you and so many others this upcoming weekend! That’s pretty freakin’ cool. I did not know about that.